This month, we are focusing on Flip Solomon, an Austin artist of many dimensions. 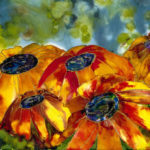 Classically trained in graphite, she now works in pen and ink, acrylic, watercolor, batik process, jewelry and embroidery. Flip was raised in New England, and received early artistic training at Hartford Art School and Massachusetts College of Art and Design, before finishing her degree at the University of Texas. Her interests in anthropology and travel are apparent in her art, as much of her work focuses on other cultures and both human and animal anatomy. Flip currently works and shows in Canopy, an East Austin creative space. Her work, as well as that of the other artists sharing the space, will be a part of the East Austin Studio Tour. Dreams are Flip’s primary inspiration for her art. Afflicted with narcolepsy, she has frequent REM cycles both day and night, which allow her to dream more than most people. She has trained herself to draw in dream states, which not only helps to ground her, but produces beautiful and deeply personal art. 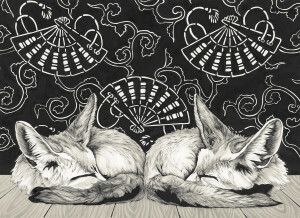 The “Fennec Foxes” featured here was inspired by her late mother, for whom fennec (desert) foxes served as a spirit animal. 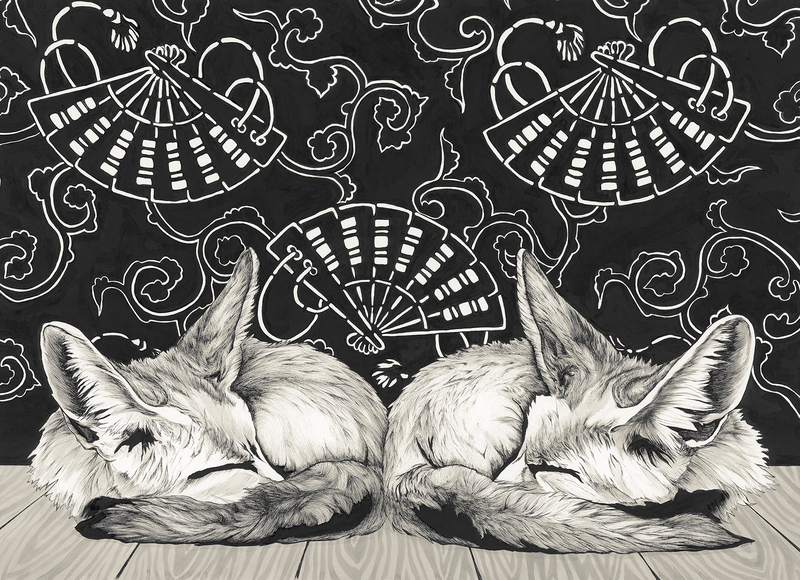 You can view and purchase more of Flip’s creativity on her website, but we encourage you to visit Canopy on the East Austin Studio Tour and to drop by either Miller IDS location to see the ‘Fennec Foxes” print. 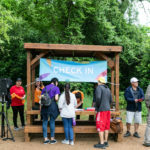 Miller IDS is happy to support the East Austin Studio Tour!